Here at Surfline our logging days started long before we formalised our shapes into stand alone models back in 1995. With this in mind two Log styled boards were included in our first model offering: Our ’50’s influenced Vintage Reissue and mid ’60’s styled Classic Brand. Five years later we followed up with the Electraglide! This gave us three great noseriding Log options which we have tweaked and refined over the years while following both, my own design thought processes as well as listening to individual customer needs and desires. As a result of some serious(and fun) research and development during one of our Freeway Project sessions down country,a call was made to blend the V.R and Classic Brands into a slick new Log which we aptly named the Sugar Glider! Now, with an arsenal of four great Log options, each with their own strong performance characteristics you might say thats enough. The thing is the shapers mind never stops designing and when I decided to celebrate my 58th birthday I was struck by the alignment of numbers in that I was born in 1958 and was also turning 58! Having been riding Finless Hot Curls for a number of years I had decided to shape myself a noserider for Summer time log jam days that lay ahead. It seemed like a perfect opportunity to take a soild base line and lay some creativity over the top so heres what I did: Starting with the Sugar Glider which is already chocked full of good D.N.A from both the V.R and C.B models, I then added in some E.G influence into the planshape curves as well as taking the bottom rocker into new territory with a little extra tail flip while reducing the curve forward of the apex. Call it an enhancement in all areas of logability! What a way to celebrate, the board was an instant hit and I called it the Fifty Eight Special. Was it a one off? hell no! that first one dissappeared into the back of T.B’s van and isn’t looking like coming back home anytime soon! Tony loves that board! Needless to say a string of custom orders followed and we are also offering the Fifty Eight Special off the rack from The Candy Store. Get your toes on one! 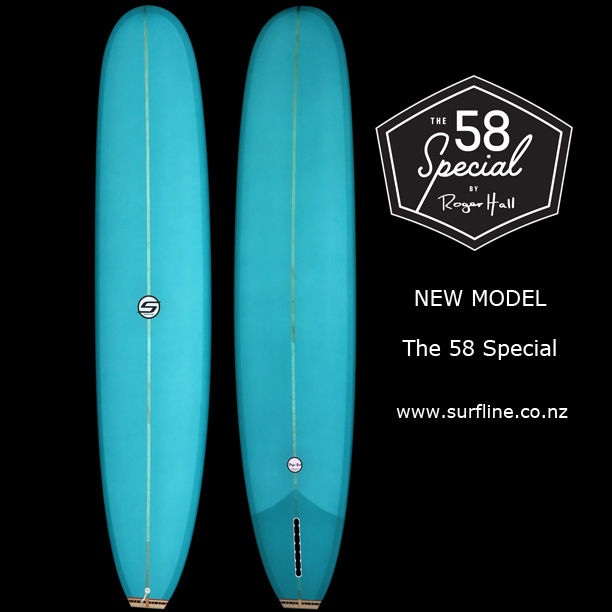 Hi Mervyn, The Sugar Glider and the Fifty Eight are very similar boards and ride and do very similar things. The Sugar Glider as a model tends to be overshadowed by the ’58 however it is an excellant riding board. If you liked Steve’s board and it ticked all the boxes for you then getting one the same is a great option, especially if there was nothing lacking. Going longer out to 10’0″ will give you more paddle power and glide as well as a bigger board feel. The point is to think about Steve’s board as a package that you rode and liked, did you need more paddle power and glide? Do you want more board? Was the overall surfing functionality of Steve’s board spot on for you? How much of this do you want to change? So the first decision is about the length, do you stay with the 9’6″ you experieced or do you go to 10’0″? the next decision is do you stay with the Sugar Glider model that you experienced or do you change to another model such as the Fifty Eight Special? Have a think about the points I am raising and perhaps we could follow this up with a chat over the phone.